I’m pretty sick and tired of everyone getting awesome Cubans, like Yasiel Puig, Jose Abreu and Jorge Soler, and the Yankees getting stuck with the Adonis Garcias and Ronnier Musteliers of the world. 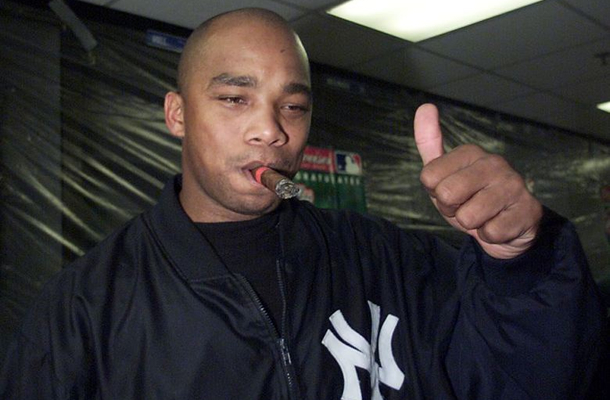 The Yankees haven’t had a good Cuban since El Duque left for the second time ten years ago, and its about damn time Brian Cashman does something about it. There are several good recently defected Cuban prospects out there, but none are more intriguing than Yoan Moncada. Cashman… sign this man, or I quit. According to the guys at River Ave Blues, on the 80 max scale of ranking prospects, Moncada received 60s for his hit, power and arm tools, a 70 for speed and a 50 for fielding, which makes him a five tool player. 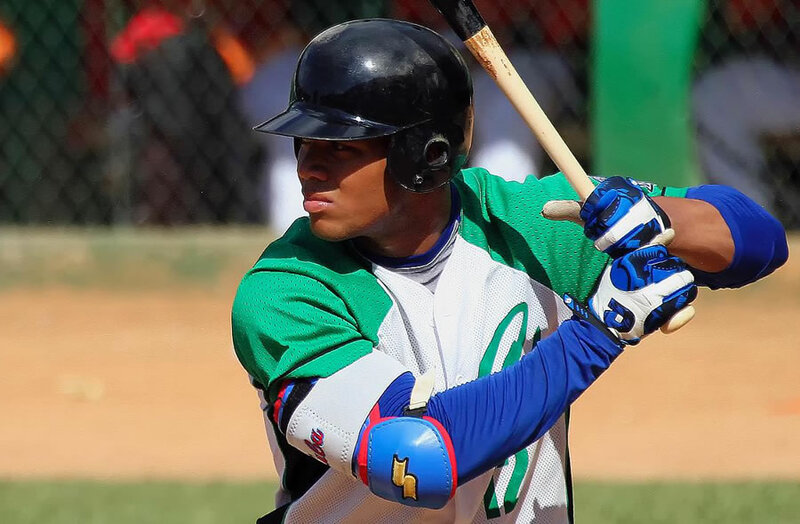 Beyond the apparently endless talent, youth and abilities, Moncada also clearly fits a huge need for the Yankees. The infield last year, at one point or another, included Zelous Wheeler, Brendan Ryan, Brian Roberts, Yangervis Solarte (we still love you, Yangervis!) and Kelly Johnson. Those guys were all starters at some point. Starters! a The Yankees have a couple of young and promising infielders in their system, most notably Robert Refsnyder and Jose Pirela, but its clear that they need a clear cut “future star” type player. Moncada is listed as a Shortstop, and can also play 2B and 3B. These are all huge future needs for the Yankees. The Yankees are already favored to sign Moncada, not just because of the fact that he’s clearly a perfect fit for their roster needs, but because the finances make sense too. Signing Moncada will not be like the signings of Puig, Soler and Abreu. Moncada is under the age of 23, which means he falls under the bonus restrictions that limit spending on young, international free agents (the first step towards having an international draft, in my opinion). He is expected to command $30M to $40M, which would put any team waaaaaay over the limit, and result in a 100% tax on those funds, doubling the contract for the team. Again according to Badler, this actually gives the Yankees a financial advantage over other clubs. The Bombers already exceeded their 2014/2015 bonus limit, which means they won’t be able to give anyone a bonus of more than $300K for the next two signing periods. How is that an advantage? Well, other potential suitors for Moncada, who haven’t yet doled out all of their bonus money for the year, already have verbal agreements with several prospects that they will sign during the next period. If they are to sign Moncada, they would have to reneg on all of those verbal deals, because they would only be able to dish out 300K bonuses for the next two seasons too. The Yankees, meanwhile, are like a guy who knows he’s going to jail in a couple of weeks, and decides to go on a bender to celebrate/comiserate. They can spend whatever they want for the rest of this year without experiencing any further blowback from the league (other than the tax). They’re already going to international spending jail, so they might as well get their singles out and get drunk as a skunk on young talent now. Seriously though. It’s a bit of a no-brainer for the Yankees to sign this kid. They haven’t really taken a chance on a big Cuban free agent since being burned by the Jose Contreras deal. This is fairly parallel to the fear they had about signing Japanese players after the Kei Igawa mess. Last year, they got over their Japanese fears. It’s time to take a risk and bring Cuba back into the fold too. Get it done, Cashman. End the embargo, or Jobu quits. Let’s not talk about Derek Jeter‘s performance… we will remember only the good.